Manaswini, at 19, is completing her Bachelor of Arts course. She has paid her fees with a timely Milaap loan funded by lenders like you, who saved her from having to drop out due to financial constraints. Her parents, tailors by profession, had struggled and kept their daughter in school despite their meager Rs. 6000 income. When they could no longer afford the fees or the moneylender’s high interest rates, discontinuing her studies seemed the only option. Hearing of Mahashakti Foundation’s drive to provide study loans through Milaap, her mother applied, got approved for a loan of Rs. 20,000 ($335), and a diligent Manaswini was able to stay in school. Many families in rural and semi-urban India similarly need financial support to keep their children in school. 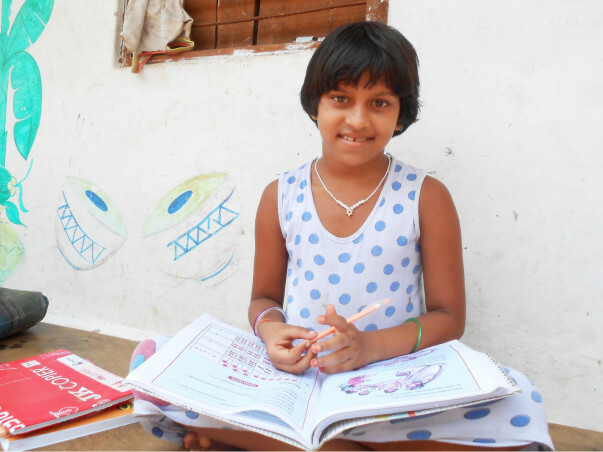 In partnership with regional non-profits like BJS in West Bengal and Mahashakti Foundation in Odisha, Milaap identifies these families and provides study loans to children right from preschool to college age. Crowdfunded from lenders like you, these extremely affordable loans cover their fees and study costs. Parents repay the loans in monthly installments. Youth in vocational training courses get jobs after training and repay their own loans while supporting their families.